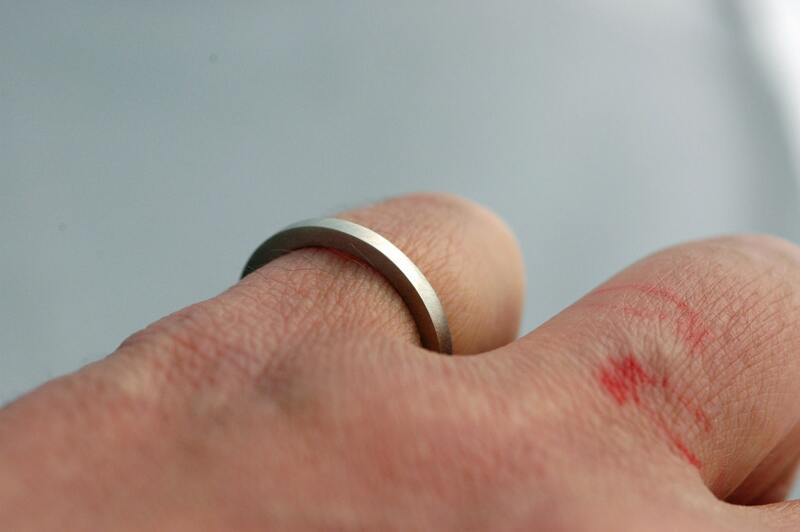 In this listing, you may choose the colour and karat of your gold ring. 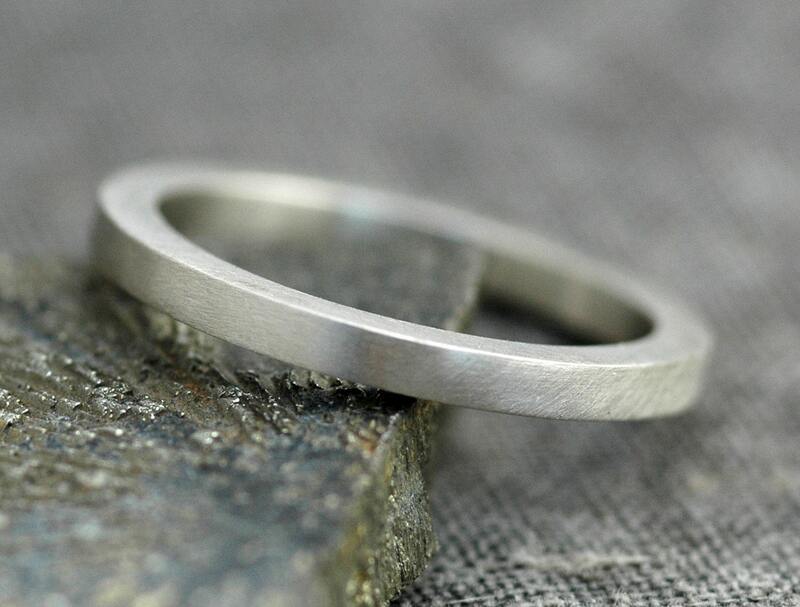 You can buy a single band, or buy two- they are built to stack together in a flush set. If you would like to buy more than one ring, and to have them made of different colours of gold, please send me a message. 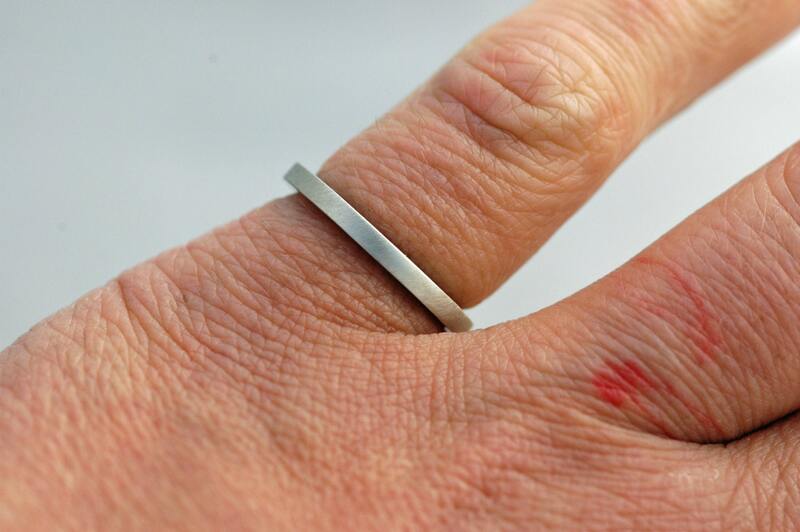 These rings are hand-forged by me, in my studio, from solid recycled gold. My gold comes from a very reputable and established American smelter. They adhere to the highest possible level of environmentally-conscious production standards. 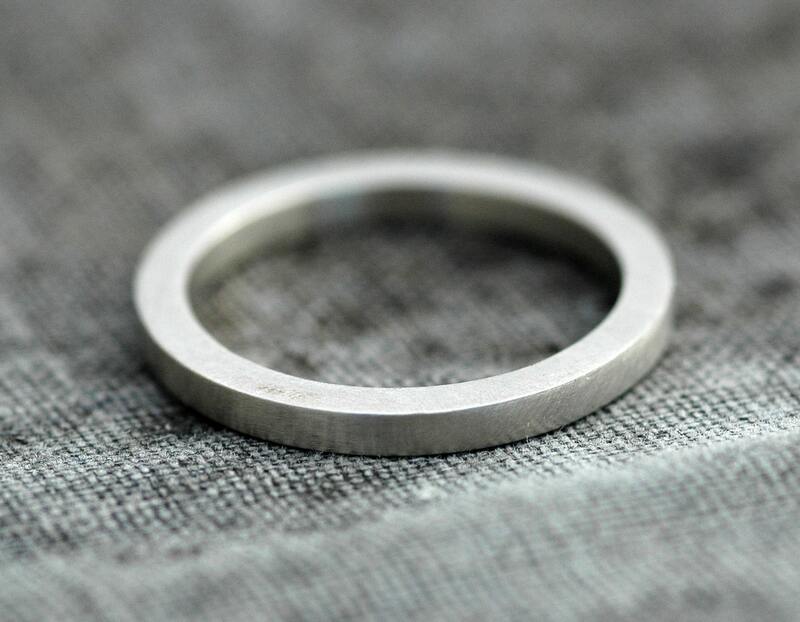 The rings are 2mm wide, and a substantial 2mm thick. They are made from a rectangular profile strip of gold, and have a clean, modern look that has strong visual impact. 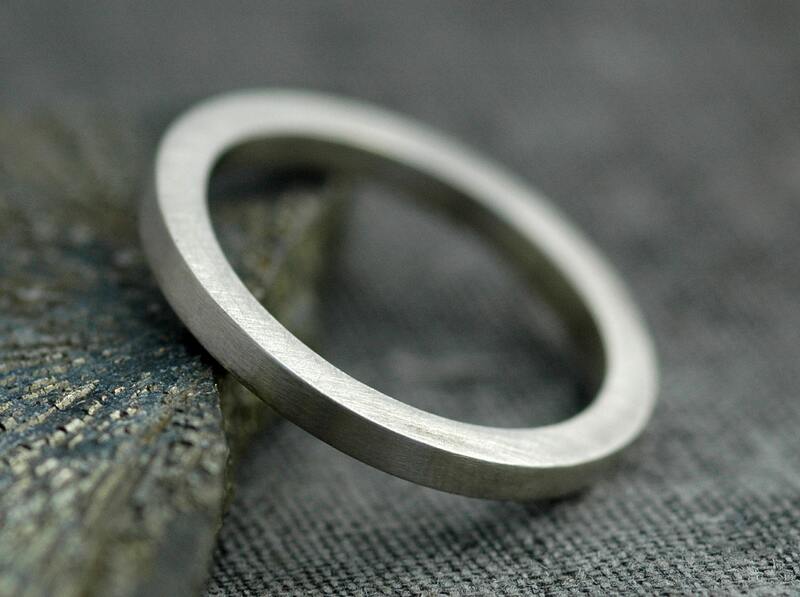 You may also choose two different textures for your rings, if you are buying more than one. Please give me your texture choice(s) in the 'note to shop' box during checkout. Production time: Currently, this is a minimum of eight weeks. Rush orders may be possible- please get in touch with your 'need by' date prior to ordering.